Don't miss out on million of dollars in guaranteed prize pools in the online poker tournament series schedule 2017 this January/February. 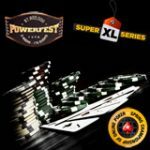 The three major poker tournament series that are taking place at the start of 2017 includes: 888 Poker Super XL Series, Party Poker Powerfest Series and PokerStars TCOOP Series. 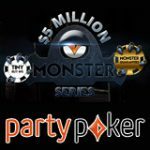 There is more than $30 million in guaranteed prize pools spread across 352 online poker tournaments on poker sites: PokerStars, 888poker and PartyPoker. Sign-up and get a poker bonus when making your first deposit, double your deposited amount. If you are a poker tournament player you don't want to miss out on the upcoming online poker tournament series schedule 2017. Play for $5 million dollars in guaranteed prize pools in the 888 Poker Super XL series of tournaments this January. The tournament schedule runs from 19-29 January and features 63 online poker tournaments of all different stake levels. Start playing for your tickets to the series by entering the daily satellites and Super XL qualifiers tournaments on 888poker. Sign-up as a new player and get tournament tickets to the qualifiers which offers free tickets to the XL series to top positions in the qualifier. Throughout the tournament series there will be a leaderboard running which offers additional tickets to the top fifty players. The top eighteen players on the leaderboard will return after the series to play and exclusive tournament where the winner will get a 2017 WSOP Main Event prize package. Get three free tournament tickets to the Super XL qualifiers for free when signing up as a new player to 888poker. 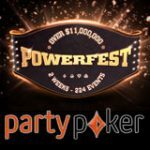 The biggest ever Party Poker Powerfest series offers over $11 million in prize pools which runs from 22th January until 5th February, 2017. 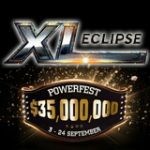 There are 224 events on the 2017 PowerFest schedule with four stake level divisions to suit players of all stakes from micro to high roller. 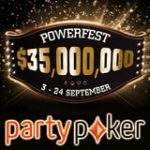 The PowerFest leaderboard ffer players the chance to win tournament tickets to the PartyPoker Millions. Play the daily satellite tournaments to win tickets to the series for a fraction of the direct buy-in amount. The most popular online poker site offers over $15 million in their PokerStars TCOOP Series 2017 which is scheduled to take place between 18-29 January. 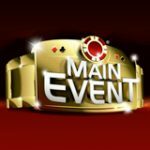 The PokerStars TCOOP Main Event alone features a guaranteed prize pool of $2,5 million on the final day of the turbo championship of online poker series.